There is no doubt that China’s ascendant economy has produced new millionaires and billionaires who are looking to invest their money for the long term. Increasingly, this group of rich Chinese investors is turning to real estate in America to diversify their holding and secure spots at American schools and universities for their children, all while obscuring their true wealth amid anticorruption campaigns by a new government. This summer was marked by wild swings in the stock market in China, leading to market panic and government intervention. Though the market has calmed down in the past few months, it has not stopped ultra-rich Chinese investors from purchasing expensive real estate in the United States. Due to the fact that the United States is considered more politically and socially stable, the American housing market has become a safe haven for buyers looking to diversify their holding and keep their money safe from the anti-graft campaign that started last year. These investors have been buying up properties in prime markets such as New York and Los Angeles, driving the average price paid by Chinese nationals for real estate in the United States to more than $800,000. Additionally, new rules in China will soon allow for Chinese citizens to invest directly overseas, as long as they have $160,000 in assets. 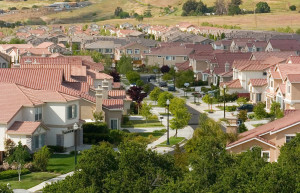 Analysts believe that this rule change might unlock further real-estate purchases. Behind these ultra-rich investors are the simply wealthy investors who are looking for more than just investment properties. Builders in the Midwest are already catering to these Chinese buyers by including two master bedrooms — one for the investors and one for their parents — and orienting houses north to south, to ensure proper energy flow based on the principles of feng shui. Many of these buyers are looking for areas that have good schools for their children. While large cities such as New York, Los Angeles and Boston are still popular for Chinese college students, there has also been an influx to universities in the Midwest. In the college towns surrounding universities such as Ohio State and Michigan State many Chinese parents are buying homes to be closer to their children. Additionally, these investors are using their purchases to take advantage of U.S. visa laws and get a green card in about two years. Of course, the increase in Chinese buyers has pushed some Americans out of the market. In general, Chinese buyers pay with cash, meaning they win in bidding wars in which an American is relying on a mortgage because cash deals can close much quicker. In some cases, there are bidding wars between Chinese buyers themselves, increasing the housing values in the area for the whole community. In total, Chinese buyers have spent $28.6 billion on American homes in the fiscal year that ended last March, more than double the level of two years ago. It seems clear that this number will continue to increase. Ultimately these purchases are bets that American real estate will produce sizable returns. This shows that America is still the land of opportunity — investment opportunity, that is.